Enamel cookware is prone to a buildup of burnt food residue. Over time, simmering sauces and sizzling meats stain the interior of enamel Dutch Ovens. 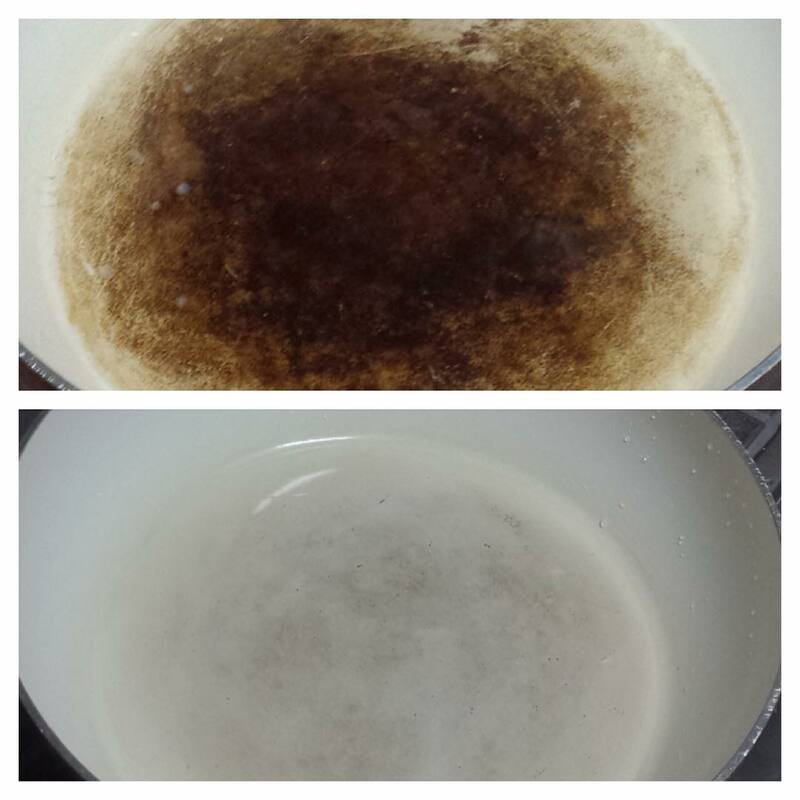 You can do things to prevent this discoloration, such as always cooking on medium or low heat and using enough oil or butter to coat the bottom of the pot when cooking. (Also, avoid using metal utensils, which can scratch enamel or leave black marks). If your Le Creuset or Staub cookware is in need of some TLC, spring is the perfect time to baby them. They’ve been working hard through the winter months making hearty family meals, so bring them out and give them the attention they deserve. 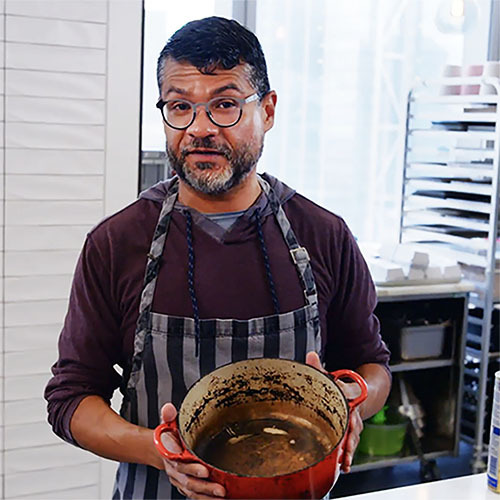 Bon Appetit has an informative video on how to clean burnt enamel cookware after a particularly bad oven mishap. 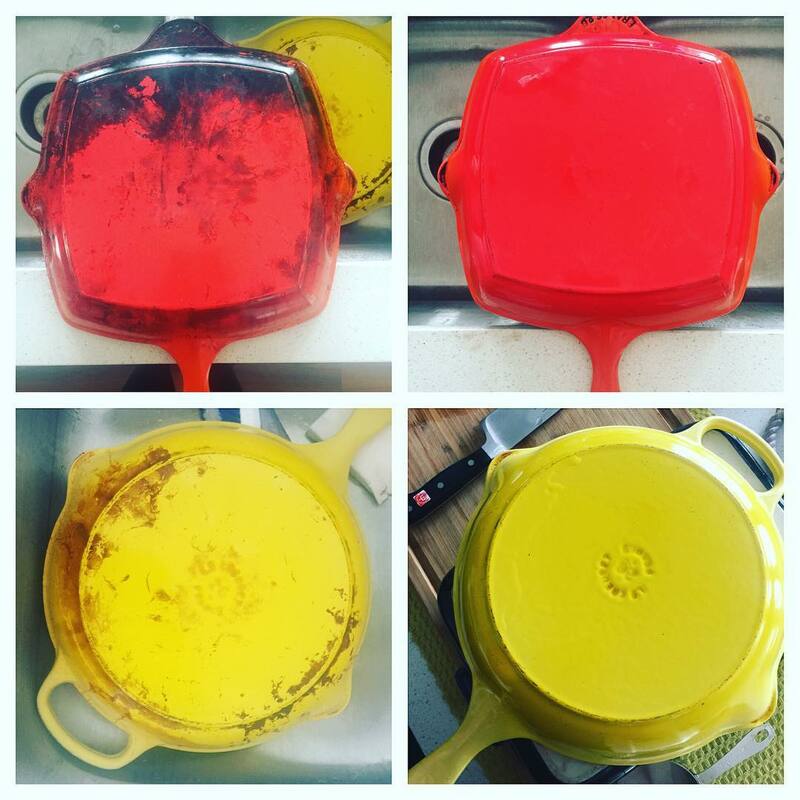 Download our easy-to-follow guide on how to clean tough burnt-on stains from your cookware. My workhorse dutch oven was marred by charred onions and beef ribs. I soaked it overnight, but it was the worst staining I'd had in 10 years of cooking. BKF saved the day.